After I managed to break my test Exchange 2013 Server the other week, I built a new one and migrated all the data into it. 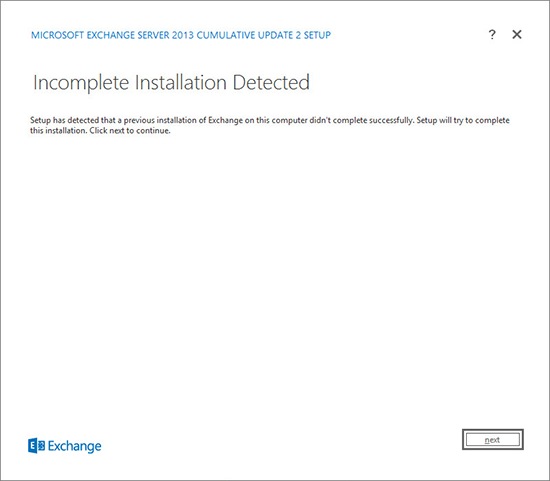 But while trying to decommission the old Exchange box, the process failed and I was stuck with this error. 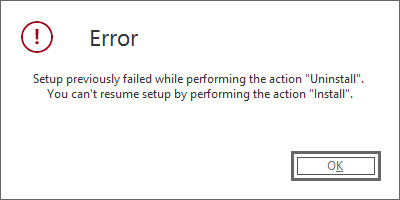 Setup previously failed while performing the action "Uninstall". You can't resume setup by performing the action "Install". So now I couldn’t uninstall, or attempt to ‘repair install’ in an effort to remove Exchange. This happens because when you attempted to uninstall, the process adds some registry key(s) and sets them to the uninstall state, you need to locate and delete them before you can proceed. 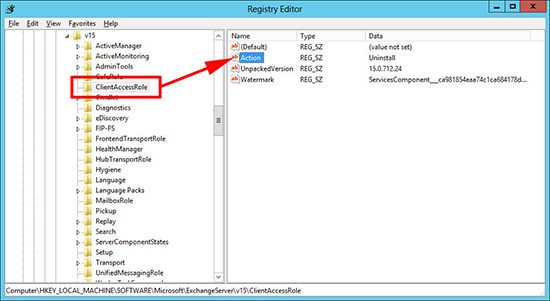 Here you will need to check the sub-keys, for the roles that were installed on this machine, below you can see the ClientAccessRole sub-key has a value called Action, that has been set to Uninstall, that needs to be deleted. 2. 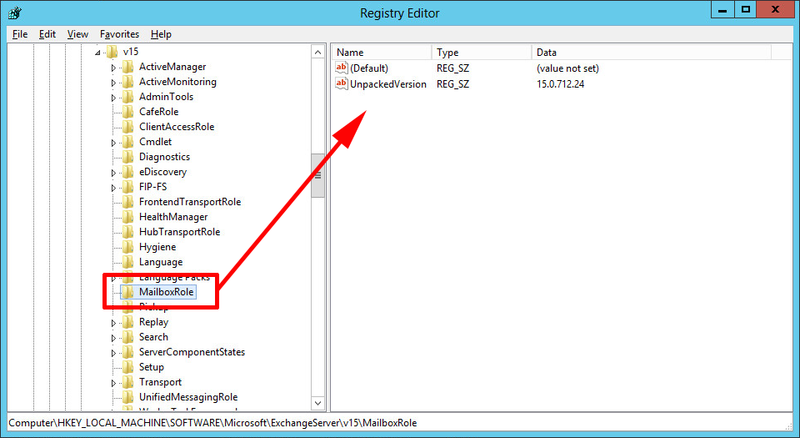 Here you can see the mailbox role is clear and requires no action. 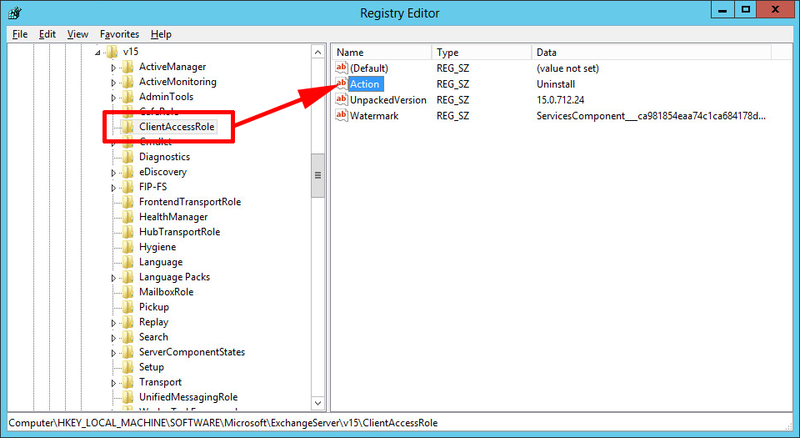 Note: This is an Exchange 2013 Server, so it can only be a Mailbox or a Client Access Role Server. With earlier versions of Exchange you may also want to check HubTransportRole. 3. Once the values have been removed you should be able to proceed.